I am Caio Jordão Carvalho, software developer from Salvador – BA, Brazil. Actually living in Cranbrook – BC, Canada. Systems Analysis and Development student at Federal Institute of Education, Science and Technology of Bahia. I was selected by Emerging Leaders in the Americas exchange program to study on Canada in the College of the Rockies institution with all the expenses paid by the Canadian government. Actually I am working on StreamChord project to help people on learning to read musical scores. I am also an undergraduate research student at Labrasoft research group, focusing my research on machine learning, pattern recognition and computer vision. 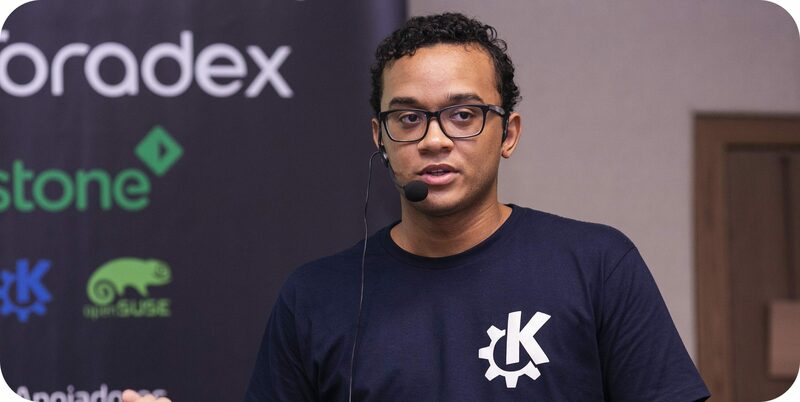 Member of KDE Community, where I have been contributing to some open source projects, such as Calamares installer framework, kpmcore partitioning library and KDE Partition Manager application. Student Developer in Season of KDE (2018), where my work was selected as the Grand Prize Winner, and Google Summer of Code (2018). I have also contributed as a mentor in Google Code-in (2018). More personal technical information can be seen at my curriculum and Github. Here is a more detailed list with some projects that I have contributed to and research papers. You can contact me by email, Telegram or IRC (cjlcarvalho).